My agenda is jam-packed–and changing every hour. I haven’t seen the sun in days. My eyes are bleeding from scheduling social media and creating Facebook events. Because, well, it’s almost Outdoor Retailer. This is the first Outdoor Retailer event held in Denver, and while I am still palpably bitter about SLC losing the tradeshow, there’s a lot of energy, excitement, and anticipation of how the new show will go. I am happy to report that it seems the trend of using this gathering to really charge forward on important industry issues like advocacy and inclusion is going strong. There isn’t a dedicated public lands action center like there was at 2017 summer market in SLC–but the moving the tradeshow so quickly was no easy task, so I’ll refrain from making a fuss until next summer. 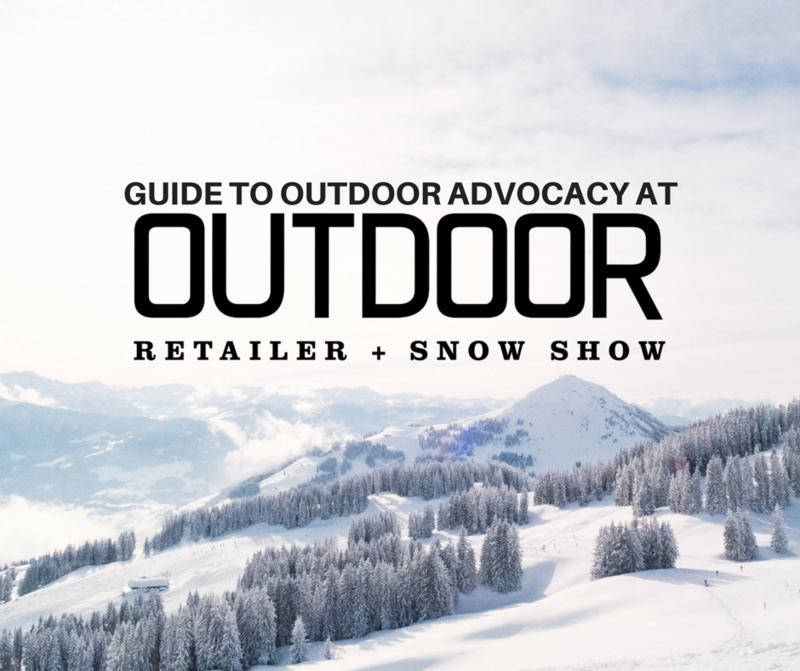 There’s a lot to cover at Outdoor Retailer + Snow Show, so I rounded up the most important events in my own agenda to share with you. Panels, parties, the works. 10:15 AM: Filling the Void: Taking on Global Warming When Our Country Isn’t climate change talk at the Hyatt Regency in the Capitol Ballroom with OIA’s Amy Roberts, Mario Molina from POW, Chris Davenport, and more. 7:30 PM: Night Zero Untamed: A Welcome Party for Outdoor Retailer at the McNichols Civic Center Building. To be honest I still don’t fully understand what this is but there’s one helluva speaker line-up, the website is oddly impressive, and something tells me this is a party not to miss. Everyone seems to be involved, like Access Fund, Climate Reality Project, PEW, Gov. Hickenlooper, Outside, Patagonia, it’s insane. 7:00 AM: Industry Breakfast with Paul Hawken at Bellco Theatre. I know, it’s early–BUT, this is the event kicking off Outdoor Retailer, and Paul Hawken is the man. 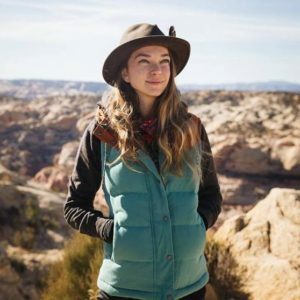 “Find out how we, as outdoor businesses and individuals, can play a critical role in turning the tide on our climate’s future.” Make sure you’re wearing your badge to get in! 7:00 PM: The Gathering at 1555 Central St. Unit 201. All I really know about this is that the women of Wylder Goods invited me, there’s going to be wild game and Unita beer, and it’s a celebration of conservation, food, and community. 7:00 AM: Conservation Alliance Breakfast with Kevin Fedarko & Pete McBride at the Hyatt Regency. To be honest, I’ll probably still be sleeping, but if you’re a morning person, these breakfasts are always inspiring. 1:00 PM: Book signing with Shawnté Salabert at the Mountaineers Books booth (#44104-UL). Shawnté is a treat to encounter, and an inspiring woman, author, litter-picker-upper, and friend. Go get a copy of her book! 3:30 PM: Monumental Decisions Panel at RANGER Station. I literally moved my panel to a different day so that I could be at this one. It’s going to be good. Powerhouses like Patagonia, REI, KEEN, OIA, Parks Project and more coming together to talk about work we’ve done for protecting national monuments, and what’s ahead. 3:30 PM:Leading Outdoor Advocacy through Social Media panel in the Mineral Room at Hyatt Regency (I’m moderating this, woo!). Join emerging leaders in the digital space, like women from Melanin Base Camp, She-Explores, Indigenous Women Hike and Flash Foxy, as we explore the impact and opportunities in using social media to drive the next generation of outdoor advocacy. Learn how to take action and become a powerful voice on relevant topics like public lands, climate change, diversity, and local community issues. 4:30 PM: Live Art with Sarah Uhl at the Conservation Colorado Happy Hour (Booth: 44030-UL). Sarah is magical, and she’s painting a 40 piece mural be built LIVE on the side of the Outdoor Research tiny house. AND Colorado Senator Bennet and Congressman Polis are expected to announce the introduction to the Continental Divide Wilderness Bill. 6:30 PM: Backcountry Film Festival’s Night of Stoke at Bellco Theatre. Films and friends and athletes and whatnot. All day: DEMO DAY! I’m heading up to Copper Mountain to take the hype out onto the slopes for SIA’s Demo Day. I’ll be covering it for OIA and will likely injure myself while trying to ski. I can’t wait to hit the road and get out there to see all my favorite folks in Denver and start scheming how we’re going to make the outdoors a better place in 2018. See you next week! I didn’t know about this show in Denver but hopefully they sell tickets at the door it looks interesting. I want to check out the Fedarko event. Man, I’m bummed I missed this. It’s really great to hear so many people in the industry are leveraging their knowledge and experience to advocate for the environment. What was your favorite event there? Maybe I can make it next year!